The sequel to the Jordan Jumpman H Series has made an impact since its debut in the market. This May, it is expected to catch eye once again with the release of two more colorways. The Jordan Jumpman H Series II, which is almost the same as its predecessor aside from the elephant print on the midsole, will be released in White/Club Purple-Black colorway. 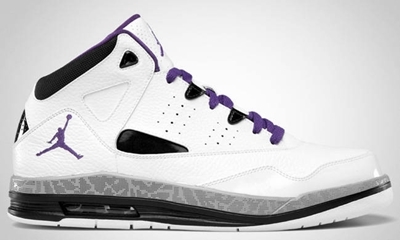 The new kick features a white upper part with touches of club purple on the lace on Jumpman logo. This will be released in the market anytime next month.